The latest report from the Securities and Exchange Commission (SEC) revealed emerging trends in whistleblower activity and anti-retaliation law in 2015. The report provides important information for whistleblowers at how the Dodd-Frank reform is affecting whistleblower tips and activities across the country. The report also provides insight into two of the SEC’s chief enforcement priorities going forward, and how those priorities will protect whistleblowers. Whistleblower tips are on the rise. In fiscal year 2015, the SEC received 3,923 tips, which represents a 30% increase in whistleblower tips compared to fiscal year 2012 (3,001 tips), and an 8% increase over fiscal year 2014 (3,620). 2) Whistleblower awards are on the rise. The awards for whistleblowers can be substantial. In 2015, the SEC paid more than $37 million to eight whistleblowers. That figure includes the SEC’s highest award ever of $30 million paid to a single whistleblower at the beginning of fiscal year 2015. 3) Protection for internal whistleblowers is an SEC priority. The report makes clear that providing equal protection for whistleblowers who first issue their complaints internally, as well as to whistleblowers who bring their complaints directly to the SEC, is a priority for the SEC. Dodd-Frank explicitly prohibits retaliation against whistleblowers who report securities law violations to the Commission, but the statute also includes a separate provision that appears to extend protection to internal disclosures made under Sarbanes-Oxley. 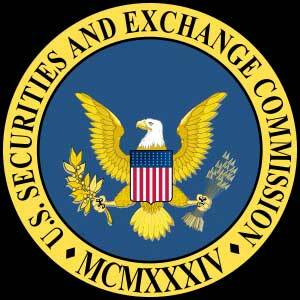 The SEC restricts bounty payments to only those individuals who report to the Commission. Even so, the statute provides anti-retaliation protection to whistleblowers who report internally under Sarbanes-Oxley regardless of whether the individuals provide the same information to the Commission. However, recent court decisions (Asadi v. G.E. Energy (USA), LLC) suggest that courts remain divided on this issue. Whistleblowers are advised to consult with an experienced whistleblower attorney to ensure they are afforded all the protections available to them under the law. 4) The SEC intends to punish employers that try to muzzle whistleblowers. In April 2015, the Commission showed it is serious by bringing its first enforcement action under Rule 21F-17(a). That action challenged KBR Inc.’s use of a confidentiality agreement that prohibited witnesses in internal investigations from discussing the subject matter discussed during interviews without prior authorization. KBR Inc. subsequently agreed to pay a $130,000 penalty to settle the charges. With so much at stake, whistleblowers are encouraged to consult with a whistleblower lawyer to find out how current policies offer protections and incentives for whistleblowing under current whistleblowing and anti-retaliation law.